Air plants, also known as Tillandsia, are Epiphytes. In their natural environment, Epiphytes grow on other plants but are not considered parasitic as they obtain water and nutrients from their surrounding environment. 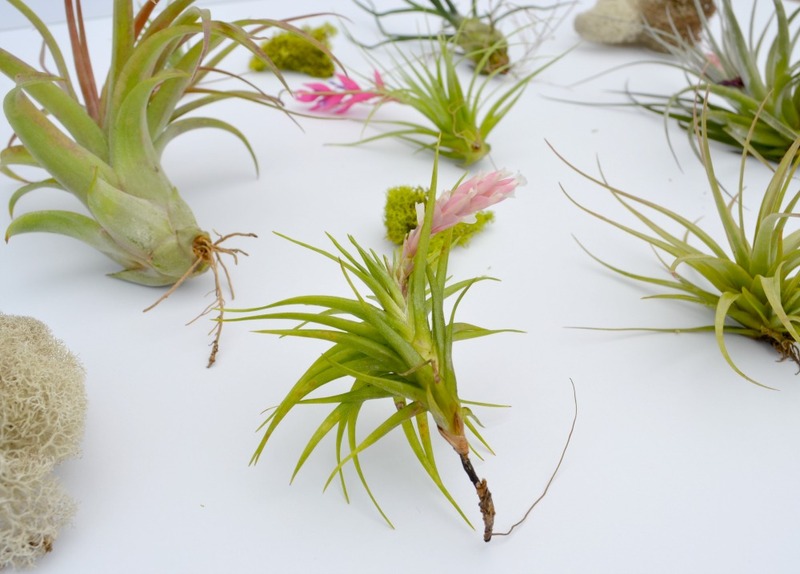 Part of their appeal is that Air Plants do not require soil or a pot. It’s fun to create a unique design element by mounting the plants to a board, tile, or other object. These easy to grow plants can add an interesting touch to a gallery wall, tablescape or modern arrangement. 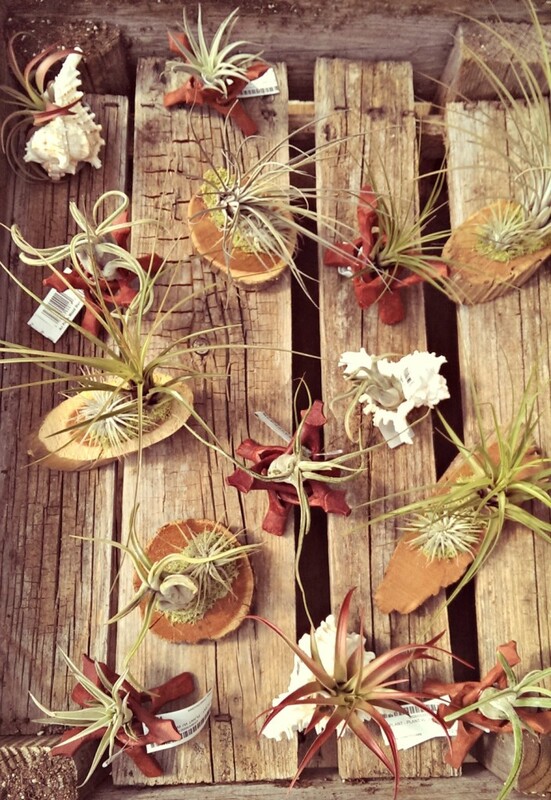 Air plants are becoming increasingly popular due to their small size and amazing versatility. 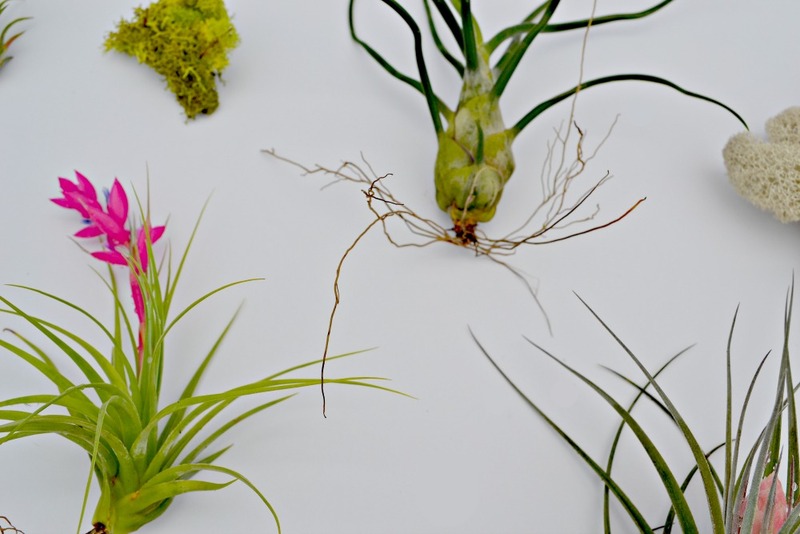 Air plants should be kept where they will receive bright, indirect sunlight. Periods of direct sunlight are fine, but more than a few hours of hot sun will deplete the plants of their moisture. If your plant will be in a spot with direct sunlight, try misting them every couple of days to keep them hydrated. 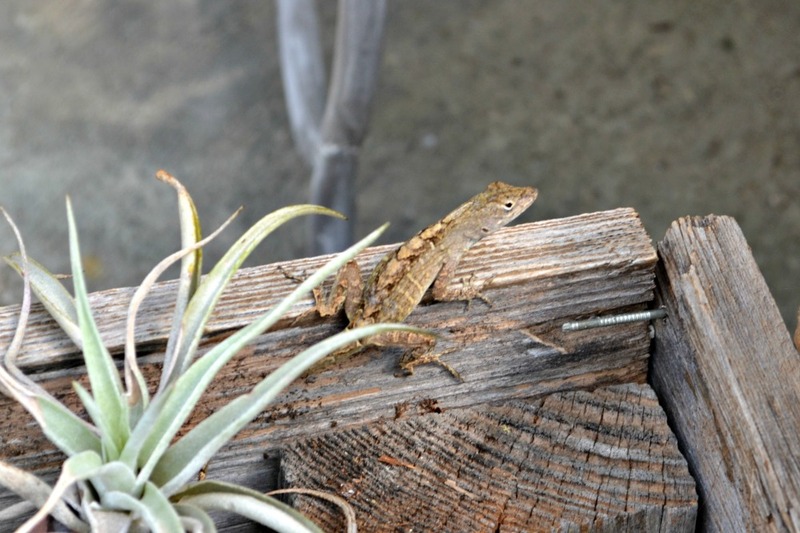 While air plants don’t grow in soil, they definitely NEED to be watered. The plants can survive for long periods of drought but will not thrive (and will eventually die) if water is too scarce. Follow the directions below for watering Air Plants and they will stay alive and well for quite some time. Don’t worry, these plants are very forgiving. There is certainly no need to get a babysitter when you go on vacation! HOW DO I WATER THE PLANTS? As a main method of watering, we recommend giving them a thorough rinsing under running water or letting them soak in a bath of water for 20-30 minutes. You can use a bowl, the sink or even the bathtub (without soap!). After their shower or bath, gently shake the plants to remove any excess water from the base and the leaves, and set out to dry in an area with enough air circulation to dry them out in about 4 hours. If your plants need an in-between watering, misting them with a spray bottle is a great method. A plant in bloom should be rinsed rather than submerged in water, and take care not to rinse the delicate flowers. HOW OFTEN DO I WATER THE PLANTS? Your plants should be watered once per week, and 2-3 times is recommended for optimal care. You’ll begin to notice that after watering, your plant’s leaves will feel stiffer and full of water. 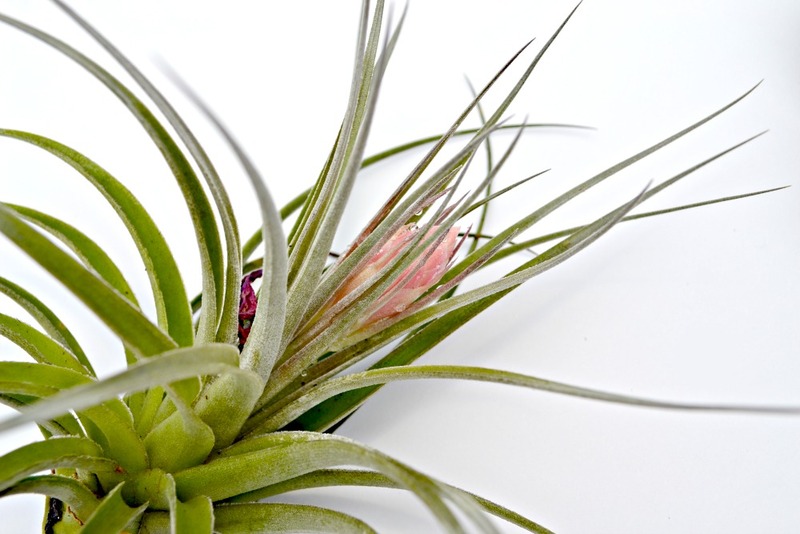 Air Plants will be softer and lighter in color when they’re in need of water. Wrinkled or rolled leaves can be a sign of dehydration. Everyone needs a little grooming once in a while! It is normal for some of the lower leaves of your Air plants to dry out as the plant grows or acclimates to a new environment. Those leaves can be gently pulled right off of the plant. If the leaf tips have dried out, you can snip the dried tip off (try trimming at an angle to leave a natural-looking pointy tip). The same can be done for the plant’s roots. Don’t worry about harming your plants during grooming, they will regrow. Fertilizing your plants is not necessary, but will keep them in top shape and should promote blooming and reproduction. 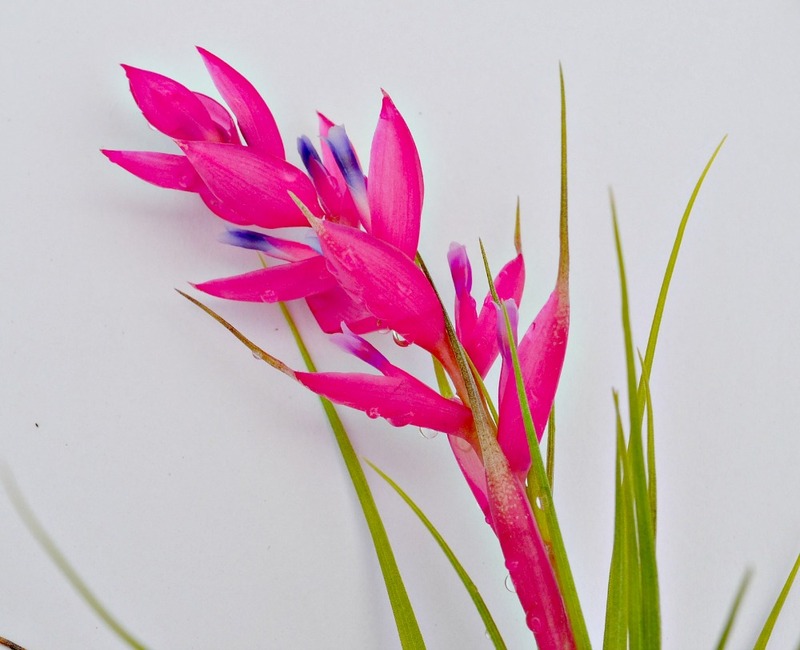 We recommend using a Bromeliad fertilizer once per month during the period of March through October. Other water-soluble fertilizers can be used at 1/4 strength (Miracle-Grow, houseplant fertilizer, etc.) if Bromeliad fertilizer is not available. Simply mix the appropriate fertilizer in with your regular water bath or a mist bottle.